After we repeal the 8th Amendment this summer, the government will face the task of defining access to abortion care. In this blogpost, we examine one kind of regulation that we do not want to see in Ireland: mandatory waiting periods. Let’s talk about why waiting periods are bad public policy, medically unnecessary and discriminate against individuals seeking abortion care. What are mandatory waiting periods and why are they bad public policy? A mandatory waiting period is a requirement that someone seeking abortion care see a physician to discuss their medical needs and then wait a set period of time before receiving an abortion. The World Health Organisation recognises waiting periods as a barrier to safe abortion access and states that, “mandatory waiting periods can have the effect of delaying care, which can jeopardise women’s ability to access safe, legal abortion services and demeans women as competent decision-makers.” Despite this, far too many countries require waiting periods ranging from 18 hours to five days. What impact do these mandates have? A recent US study showed that a mandatory three day waiting period resulted in an average delay of eight days, and led to increased anxiety, higher costs, and later abortions. While the waiting period did not ultimately change people’s minds, it did make the entire experience of obtaining abortion care much more difficult and stressful. The Joint Oireachtas Committee on the 8th Amendment rejected any ideas of imposing such mandatory delays. The Joint Oireachtas Committee recommended that abortion should be accessible on request within the first 12 weeks. These weeks add up quickly. Let’s do the sums. Pregnancy is usually measured from the last menstrual period, which is approximately 2 weeks before conception, meaning the 12 week timeframe is really about 10 weeks in total. Most people do not know immediately that they are pregnant; they typically find out between 4 and 6 weeks. Others do not find out until later, especially if they have irregular menstrual cycles, or if they are using contraception. If people in any of these situations have trouble finding a healthcare provider nearby or face other barriers, they could have very little time left before the 12 week cut-off becomes a barrier to care. Faced with the challenges of a short window of access to care, imposing a mandatory waiting period only further shortens the time in which a pregnant person can decide whether or not to continue with the pregnancy. Even when the 12 week limit is not breached, waiting periods can still restrict healthcare. For example, a mandatory waiting period could push someone beyond the gestational limit for medical abortion, meaning they would only be able to have a surgical abortion. Best practice for safe abortion care includes ‘prompt’ access, ‘without undue delay’. The medical evidence is very clear – any delays in access increase risk and cost, with no offsetting health benefit to offset these negatives. There are no benefits to imposing an arbitrary delay when someone has already decided to terminate a pregnancy. Studies show that the overwhelming majority of pregnant people have already made a decision to have an abortion prior to making an appointment. Indeed, France repealed its mandatory waiting period in 2015, acknowledging that people seeking abortion care have already reflected on their options long before they arrive for an appointment. 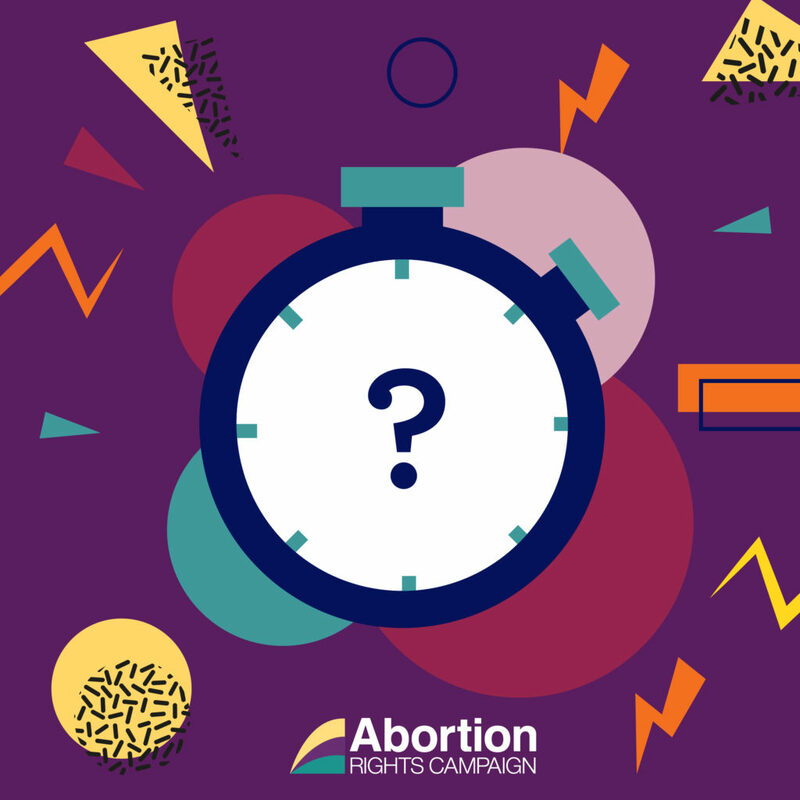 Waiting periods simply impose delays between the decision to have an abortion and obtaining care. Medical ethics require healthcare providers to obtain a patient’s informed consent before any medical intervention. Safe and legal abortion is no different to any other medical procedure. Singling out abortion care for unique requirements by forcing patients to wait for several days between seeing a doctor and obtaining medical care violates the pregnant person’s rights to privacy, integrity and personal autonomy in reproductive decision-making. A mandatory delay implies that those seeking abortion care would otherwise make ‘rash’ decisions without having properly considered their options. All the evidence shows that this is not the case. The harm of waiting periods is felt most by those who already face the greatest challenges, such as people impacted by domestic and sexual violence, people with disabilities, young people, and those who are unemployed or have lower incomes, live in rural areas, or are members of migrant and Traveller communities. People who face disadvantage in society could find it difficult or impossible to make multiple trips to a doctor who is willing to provide abortion care. The Irish government has been discriminating against these marginalised groups for decades and this cannot continue. Once the 8th Amendment is repealed, people in Ireland deserve timely abortion care that reflects evidence-based clinical practice. As the World Health Organization and international human rights experts agree, no one should have to endure forced waiting periods. It is essential that compassionate abortion care is available to all who need it, when they need it.